Resist is used to draw the edge of an image on silk, stopping the flow of dye at the resist lines. Colorless Gutta Resist is made from natural gutta percha to produce the finest resist available. 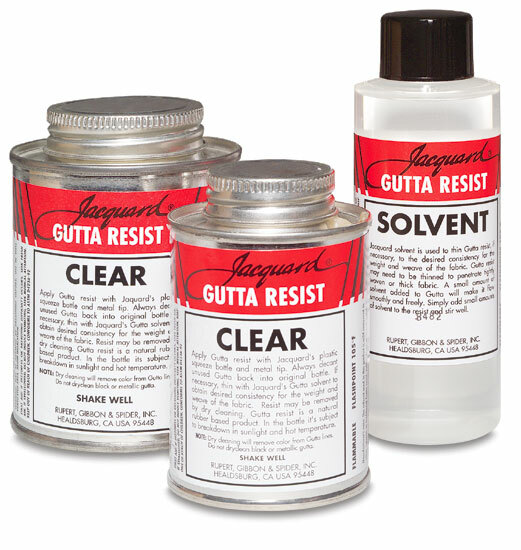 Gutta Resist can be thinned with Gutta Solvent for use on heavier silks where it is important that the resist penetrate the entire fabric.